For the second consecutive year, Amity Regional High School will welcome students back on Monday, August 28, with a celebration of the return to school. While incoming 9th graders participate in the annual Link Crew Orientation Program, 10th-12th graders will listen to successful alumni speak about how they have used the skills and tools they developed at Amity Regional High School to make their dreams become reality. A committee of teachers, administrators, and students organized and created the Spartan Stories programming. Students also will participate in small-group activities to help build a sense of community, get everyone excited for the school year, and celebrate being Spartans. After graduating from Amity in 1997 Jeremy earned a degree at St. Michael’s College in Vermont before heading west to answer the call of the mountains. Today he is a big mountain and back-country skier and writer who lives in Tahoe City, California. In addition to appearing in several skiing films and advertisements, Jeremy has written articles and reviews for countless ski magazines and online publications, including Skiing, Mountain, and ESPN. Jeremy is sponsored by Volkl Skis, Marker, Pret Helmets, Dalbello Boots, Alpine Meadows, Hestra Gloves, and more. Jeremy recently published Mountain Bike: Tahoe, a comprehensive guide to mountain bike trails in the Lake Tahoe region. His next book, which will be released this fall, is a guidebook to back-country skiing in California’s Sierra Nevada mountains. Earlier this month Jeremy came in first in his division in the grueling Downieville Classic cross-country mountain bike race near Lake Tahoe. After graduating from Amity Jeff Gitelman attended Berklee College of Music in Boston, and from there has gone on to find great success in the music industry. In addition to working as the guitarist in Alicia Keys’ band for two years, he has played with Lauryn Hill, Stevie Wonder, Justin Timberlake, and a host of others. He is currently riding an impressive wave of success, living in Los Angeles and writing and producing songs and albums for the likes of Chance the Rapper, J. Cole, A$AP Ferg, Trey Songz, Jeremih, and Frank Ocean. Jeff has a history of giving back to Amity and sharing his success with students. When he was inducted into Amity’s Hall of Honor in 2015, Jeff taught some master classes and spoke at length with our students. He was so energized by the interaction with the students that he was inspired to create The Duality School of Music – an after-school program that will meet here at Amity. Jeff will be flying to Connecticut each week from early October to early December to teach Duality students about recording and engineering and about the art of collaboration in composition, performance, and production. 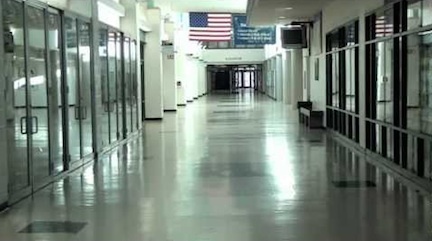 The halls of Amity High School. Welcome back to school! This is the year at Amity Regional High School we plan to “Make It Happen!” We are very excited for the 2016-2017 school year to begin. This is the weekly newsletter which is distributed to help keep parents, students and community members informed about what is happening at the high school. This first newsletter is being distributed through the Amity Regional High School portal, Bethany Middle School portal, and Orange Middle School portal. If you are the parent of an incoming freshman, please make sure you enroll in the Amity High School newsletter. Future ARHS Happenings email will only be distributed through the ARHS newsletter portal. Directions for enrolling on the Amity High School newsletter can be found HERE All newsletters are also archived on the main page of the District no 5 WEBSITE. As mentioned in the mailing you received last week, we will be changing our opening day of school slightly this year so as to highlight the importance of our core values of fairness, respect and passion. We will also be focusing on the concept of building a strong school community and celebrating the start of the school year together. The Link Crew Freshmen Orientation Day will take place throughout the morning on Monday, August 29. As in year’s past, freshmen will gather in the middle gymnasium with the assistance of Link Crew Leaders at 7:34. From there, they will participate in team-building activities, will become familiar with their schedules and the school building, and get to know their Link Crew Leaders. After having lunch in the cafeteria with their Link Crew Leaders, the freshmen will join the rest of the school community in a brief run through of all 8-classes. The schedule for the first day of school for freshmen can be found HERE. Sophomores, juniors and seniors will also follow a special schedule on Monday, August 29. After a brief homeroom for attendance and a welcome-back presentation at 7:34, students will attend a speaker series and then watch a documentary film all focused around the Core Values. The speakers are ARHS graduates who have demonstrated fairness, respect, and passion to make their dreams come true. These graduates have overcome obstacles, believed in themselves and relied on their communities for support in achieving their goals. After the speaker-series, documentary and lunch, students will visit all 8 of their classes briefly to meet their teachers and become oriented to their schedules. The schedule for 10th-12th graders can be found HERE. This week’s newsletter contains a plethora of back-to-school information. If you have any questions about any of the information below, please do not hesitate to contact the main office where someone will be happy to assist you. 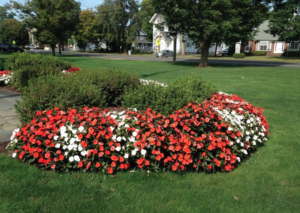 Enjoy the rest of the summer and we look forward to welcoming the entire ARHS student body on August 29th at 7:34am! Parents, Students, What Do You Know About Link Crew? Amity High School, Around Town, Home, Latest News, School News Comments Off on Parents, Students, What Do You Know About Link Crew? Amity Class Speakers include Link Crew references in their commencement speeches. Link Crew Orientation: Link Crew is Amity’s year-long freshman transition program that pairs specially-trained juniors and seniors with groups of freshmen in order to make their move to the high school smooth and successful. Link Crew works for a single purpose: to make Amity High School a great, safe and connected place for kids to learn. Link Crew orientation for all incoming freshmen will be held on Thursday, Aug. 28 from 8 a.m. – 1:15 p.m. Parents and guardians are asked to drop off their students at the front entrance to the school by 8 a.m., when the event begins, where they will be greeted by the Link Leaders. Nut-free snacks and a BBQ lunch are provided before the 1:15p.m. pick-up. Please note, there are no bus runs on this day. Parents and guardians are asked to provide transportation. 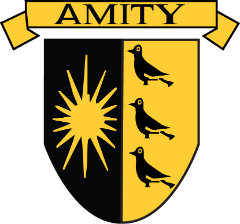 Amity looks forward to welcoming the Class of 2018. Link Crew Freshmen Parent Night: On the evening of Tuesday, Aug. 26, all incoming freshmen parents and guardians are invited to attend a brief informational meeting in the Amity High School main gym from 7-8 p.m. The Link Crew coordinators will be explaining Link Crew and shedding light on Thursday’s freshmen orientation. Tonight, Freshman Tailgate Party 6-7 P.M. — Amity vs Shelton Football at 7 P.M.
Amity High School, Home, Latest News, Sports, Today's Events Comments Off on Tonight, Freshman Tailgate Party 6-7 P.M. — Amity vs Shelton Football at 7 P.M. The Spartans celebrate Buono’s success. Tonight, the Amity Link Crew sponsors a tailgate party for all freshmen prior to the Amity vs. Shelton football game. The tailgate party will be held on the practice football field from 6 – 7 p.m.
Freshmen who attend the tailgate and wear their Amity black and gold will be admitted into the football game free of charge. The tailgate will feature free food, games, and prizes. Freshmen are encouraged to come out for a fun night of school spirit. Shelton is one of the toughest competitors Amity has, so come on out and make some noise! Bring a blanket and wear a warm jacket and gloves, it may be chilly out there. Amity vs Shelton is the NBC 30 Subway Game of the Week and will be featured prominently on the 11 p.m newscast. Go Spartans! Show the Gaels what you’re made of!